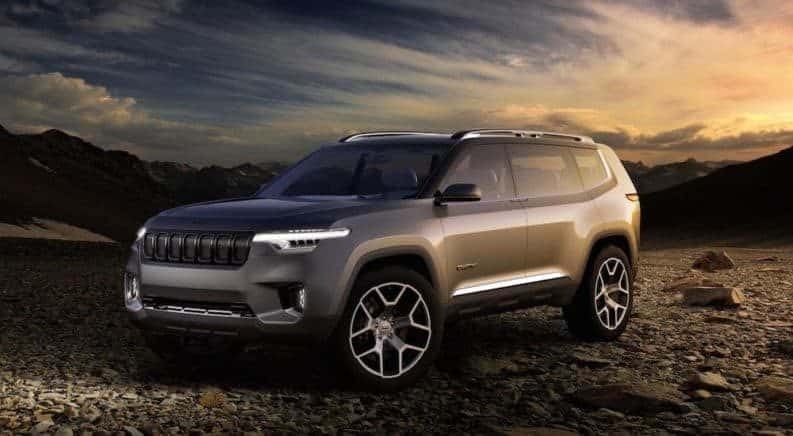 As if FCA wasn’t already knocking it out of the park in terms of powered up variants, it was recently reported that an internal document had been uncovered, which hints at some consideration towards the creation of a Jeep Grand Wagoneer Hellcat. I know. We’ll wait while you gather up the fragments of your blown mind. The document, dating back to early 2017, indicates some discussion of a three-row Jeep that would pair a 6.2-liter V8 with the 8HP95X transmission. Now, it’s worth noting that Jeep’s fresh and captivating Grand Cherokee Trackhawk uses an all-wheel-drive variation of that particular transmission, the fact that those plans were already “in the works” indicates that a larger, amped up SUV might follow. Granted, the document indicates that a prototype run might have occurred as far back as mid-2017, but let’s cast any doubt aside and touch on how fun a 718 horsepower Grand Wagoneer could be. While the simple return of the Grand Wagoneer is exciting enough, the idea of serving that up with the kind of jacked up power ratings that we’ve come to know and love is the kind of insane headline that we love to read. Bottom-line, if the upcoming refresh of the Wagoneer includes a Hellcat variant, it’s proof that FCA continues to make all the right moves for the loyal fanbase.